Village Green Health Campus of Greenville was named 2oth out of the top 25 nursing homes for residential satisfaction in Ohio for 2017, based on a survey conducted by a division of the Ohio Department of Aging. 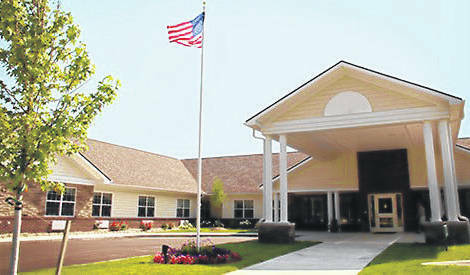 GREENVILLE — A local nursing home has been named a Top-25 facility in resident satisfaction by the State of Ohio. Village Green Health Campus, 1315 Kitchen Aid Way, Greenville, was ranked 20th out of 25 nursing home facilities in overall residential satisfaction for 2017, according to a survey conducted by the Office of the State Long-Term Care Ombudsman, a division of the Ohio Department of Aging. The survey was conducted through face-to-face interviews with residents of nursing homes and residential care (assisted living) facilities, gauges residents’ satisfaction with an array of focus areas related to their care and everyday life. The statewide average score for resident satisfaction in nursing homes was 77.8 (out of 100). The Statewide average score for resident satisfaction in assisted living facilities was 85.2 (out of 100). Full facility-specific satisfaction survey reports are available on the Long-Term Care Consumer Guide website (www.ltc.ohio.gov). The 2017 Long-Term Care Resident Satisfaction Survey was conducted between July and December 2017 by Vital Research, LLC, through a competitive contract with the Department of Aging. Surveyors conducted structured face-to-face interviews with a random sample of residents in each facility. A total of 23,145 residents in 963 nursing homes and 12,849 residents of 687 assisted living facilities were interviewed. Slightly more than half of each type of facility (501 nursing homes and 357 assisted living) scored above the statewide average.